An investigation is fully underway, but Uber has suspended all self-driving testing for now. On late Sunday night in Tempe, Arizona, a self-driving Uber vehicle struck and killed a pedestrian who was crossing the street. This is the first self-driving related fatality. 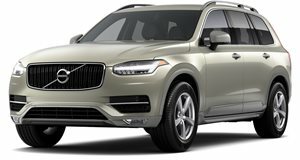 According to numerous sources, the vehicle, a modified Volvo XC90 SUV, had an operator sitting in the driver’s seat and was traveling at about 40 mph in fully autonomous mode when the accident occurred. In other words, the driver was not controlling the vehicle. The victim, 49-year old Elaine Herzberg, was immediately rushed to the hospital but later pronounced dead due to her injuries. A full investigation is currently underway, but what we know at the moment is that Herzberg was walking a bicycle across the street outside of the crosswalk when she was struck. Cameras captured the entire thing on video from both inside and outside of the SUV. Only a few hours after the crash, Uber announced the suspension of all autonomous vehicle testing in Pittsburgh, Phoenix, San Francisco and Toronto. "Some incredibly sad news out of Arizona," tweeted Uber CEO Dara Khosrowshahi. "We’re thinking of the victim’s family as we work with local law enforcement to understand what happened." Herzberg, according to Tempe police, “may have been” homeless, but this has yet to be confirmed. What can be confirmed is that the Uber safety driver was not impaired when the crash took place. Along with local officials investigating, the National Traffic Safety Board has dispatched a team to Tempe to assist. Police are also now claiming the vehicle showed no signs of slowing down before the fatal crash. However, the police chief of Tempe, Sylvia Moir, told the San Francisco Chronicle that Uber is likely not at fault, following a preliminary investigation. This is based on footage from cameras equipped to the SUV. “It’s very clear it would have been difficult to avoid this collision in any kind of mode (autonomous or human-driven) based on how she came from the shadows right into the roadway,” Moir said. She further added that the incident occurred roughly 100 yards from a crosswalk. “It is dangerous to cross roadways in the evening hour when well-illuminated managed crosswalks are available,” she said. Moir also believes there was little the driver could have done to prevent the crash. This is an updating story so watch this space for more new details.